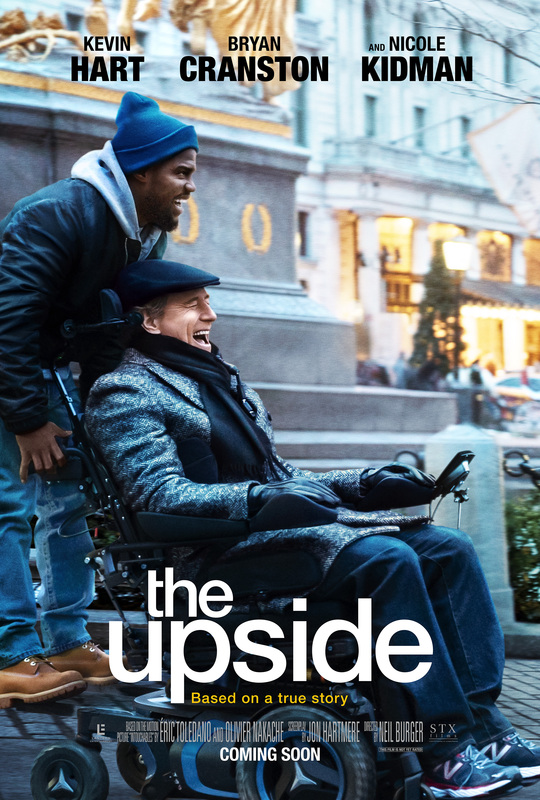 The third remake of the French movie Intouchables (2011), The Upside reaches us long after its first screening at the Toronto International Film Festival in September 2017. Caught up in the scandal involving Harvey Weinstein, the movie’s planned release in March 2018 was shelved until it was picked up for distribution by STX Entertainment and Lantern Entertainment (the successor to the Weinstein Company). Now the only question is: was it worth the wait? Sadly, the answer is, not really. This is a movie that is almost entirely depth-free, and dramatically inert. It’s a standard Hollywood interpretation of the kind of feelgood story that comes along every now and then and which, thanks to its sincerity and innate positivity, tugs at the heartstrings. But as usual in Hollywood, this kind of narrative can’t be allowed to exist in and of itself; it has to be treated with a level of over-simplification that five year olds would find frustrating, and slathered with enough gooey sentimentality to induce Type 2 diabetes in the unsuspecting viewer. There’s often a formula to these kinds of stories, but the best versions try their best to wrest something new from the material. Here the formula is embraced wholeheartedly… and then some. This leaves the viewer with two choices: to either go with the flow and settle for spending an occasionally amusing, occasionally effective couple of hours that will leave them unmoved, or to rail against every predictable plot and story development for being so obvious. Either will involve a tremendous amount of effort on the viewer’s part, and neither will see them coming away singing the movie’s praises. For despite the chemistry between Hart and Cranston, and their performances – which at least stop the material from becoming too sappy – this is very much a movie that coasts for most of its running time, and which struggles to find anything to say. Burger does what he can, but someone really should have stepped in at the first draft stage and told screenwriter Jon Hartmere that a by-the-numbers approach wasn’t what was needed (though you do get the feeling that’s exactly what the producers wanted). 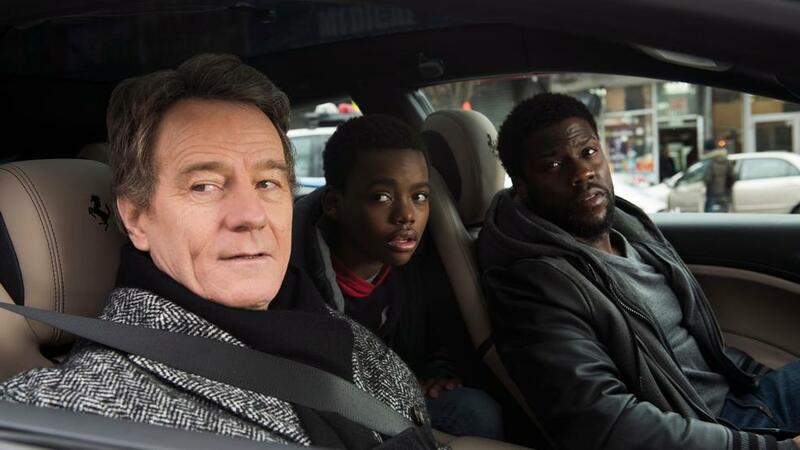 Cranston is good value as always, and Hart, trying to broaden his range, is okay, but he doesn’t do anything to make us think that there’s a serious actor inside him who’s desperately seeking the dramatic limelight. And then there’s Kidman, on something of a role at the moment, but so under-utilised it’s hard to work out why she said yes. Like much about this movie, her presence begs a secondary question: was it worth the effort? 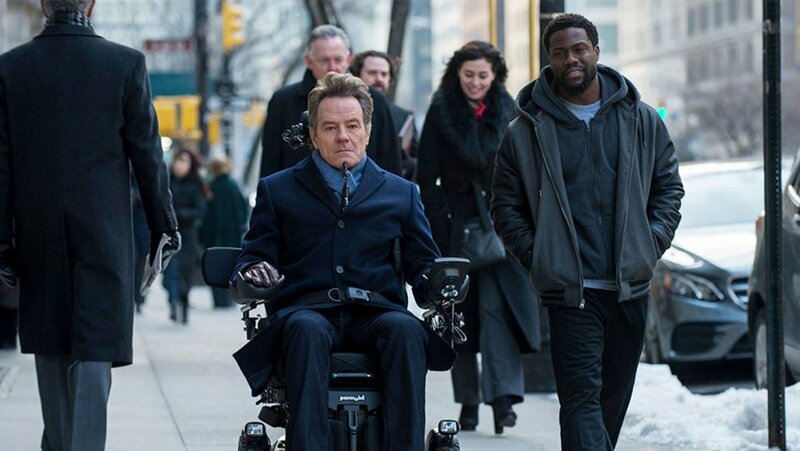 Rating: 5/10 – though its leads work well together, and there are some good comedic moments in amongst the otherwise routine material, The Upside is, unfortunately, a movie that doesn’t live up to its title; with issues around disability, class and race carefully ignored in favour of making this purely a feelgood movie, even the obligatory falling out between Dell and Phillip feels as manufactured as everything else. 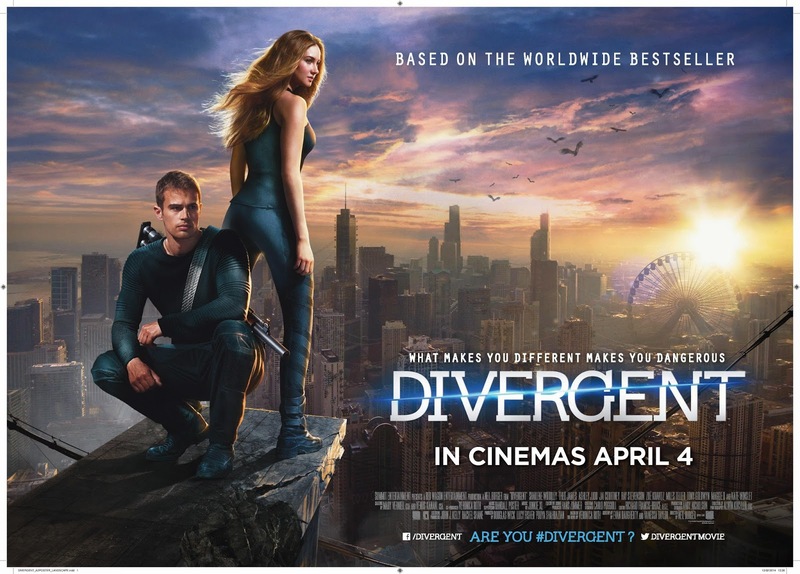 The first of four movies adapted from the novels by Veronica Roth, Divergent is yet another dystopian vision of the future as seen through the eyes of a young adult, this time, Beatrice Prior (Woodley). Beatrice lives in a partly desolate version of Chicago that has seen its social structure reorganised so that people live in factions. These factions determine the kind of life they lead and their social responsibilities. Beatrice and her family, father Andrew (Goldwyn), mother Natalie (Judd) and brother Caleb (Elgort), live in the Abnegation faction. Abnegation is about being selfless and helping others including giving food to the factionless (or the homeless); they are also the ruling government. At sixteen, Beatrice and Caleb have to decide if they want to stay with Abnegation, or join one of the other factions: Erudite (science and teaching), Candor (unable to lie, often lawyers), Amity (farmers, nurses, artists who also favour peace), and Dauntless (brave and fearless and despite the apparent lack of crime, the city’s peacekeepers if needed). Beatrice undergoes a test to see which faction she would most fit in with, but it is inconclusive. At the choosing ceremony, Caleb opts for Erudite, and Beatrice for Dauntless (this also means neither of them can see their parents again). Beatrice begins her training with Dauntless, and meets instructors Eric (Courtney), and Four (James). At first, she struggles to make the first cut, but with Four’s support and encouragement she makes it through. As time goes on, Beatrice – now calling herself Tris – learns that her test being inconclusive means she is ‘divergent’, someone who is able to encompass the traits of each faction and effectively “think for themselves”. Divergents are viewed as a threat to society and are disposed of when discovered. With the second stage of her training highlighting Tris’s abilities more and more, it becomes increasingly difficult for her to avoid detection, but with Four’s help, she passes the final test. Throughout there have been rumours of a government takeover by Erudite, who view Abnegation as untrustworthy and duplicitous. Erudite’s leader, Jeanine Matthews (Winslet), has co-opted the Dauntless leadership into her plan; she’s also created a serum that will dupe the Dauntless into believing they are taking part in a simulation exercise when in fact they’ll be killing the members of Abnegation. Being immune to the serum, Tris – with Four’s help – has to find a way to stop the coming massacre. 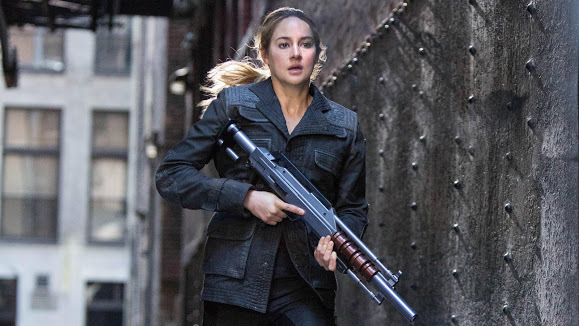 With such a huge obstacle to try and overcome, Divergent never really gets off the ground, either as dystopian fable or cautionary science fiction. Tris is a sympathetic main character, and without her the movie would be hard to watch, as most of the other characters operate almost independently of both the plot and each other. Motivations are rote, and behaviours change largely without explanation – look out for Peter (Teller), a villain for ninety-five per cent of the movie, right until one of the final shots – while Tris’s family are used more as a plot device than as an emotional focal point. There’s also the budding romance between Tris and Four, played out with so little deviation from formula that you could cut and paste them into any number of other movies and not notice the difference. Where the movie does score points is in its creation of the world that Tris inhabits, with convincing differences between the locations of the factions – Abnegation is grey and nondescript, Erudite is futuristic and glamorous – and the semi-ravaged Chicago environs hinting at a more recent, more low-key war (a visit to a ruined fairground is a highlight). There’s a pleasing mix of high and low-tech weaponry, and the various fight scenes are unfussy and effective (though Tris does seem to master things almost overnight once the plot needs her to). Overall, Divergent is a movie with a strong visual style and the photography by Alwin H. Küchler is surprisingly fluid and well-framed for a movie with so many static, dialogue-heavy moments. Neil Burger’s direction can’t quite keep a grip on the pace of the movie and the last thirty minutes feel rushed in comparison to what has gone before, but otherwise it’s a solid piece of work given the limitations of the material. However, this is Woodley’s movie, pure and simple, a star-making turn that takes the promise she showed in The Descendants (2011) and validates that promise completely. Wrestling with an awkwardly motivated character, Woodley takes Tris in hand and makes her truly ‘divergent’, displaying a range that fleshes out the character with unassuming ease. (Tris does remain under-developed however, and it will be interesting where Woodley is able to take her – and how effectively – in the sequels.) Woodley is a confident young actress and she deals persuasively with what is as much a physically demanding role as an emotional one. Sadly, the rest of the cast don’t fare as well, with only James given more than a passing nod towards a fully-fledged character. Courtney, Stevenson and Teller are wasted, while Judd and Goldwyn provide a minimum of parental guidance (and plot exposition) before being sidelined. Kravitz and Elgort create new shades of bland (though to be fair, that’s largely down to the characters, and not them as actors), and even Winslet – usually convincing in whatever role she takes on – fails to add any depth to her character and is here reduced to the kind of sub-standard villain you’d expect in a cheap James Bond knock-off. Rating: 5/10 – a bizarre hotchpotch of ideas about social programming, Divergent never overcomes the faults of its source material; fans of The Hunger Games looking for an interim fix before Mockingjay Part 1 will be disappointed, while newcomers who haven’t read the book will wonder what all the fuss is about.